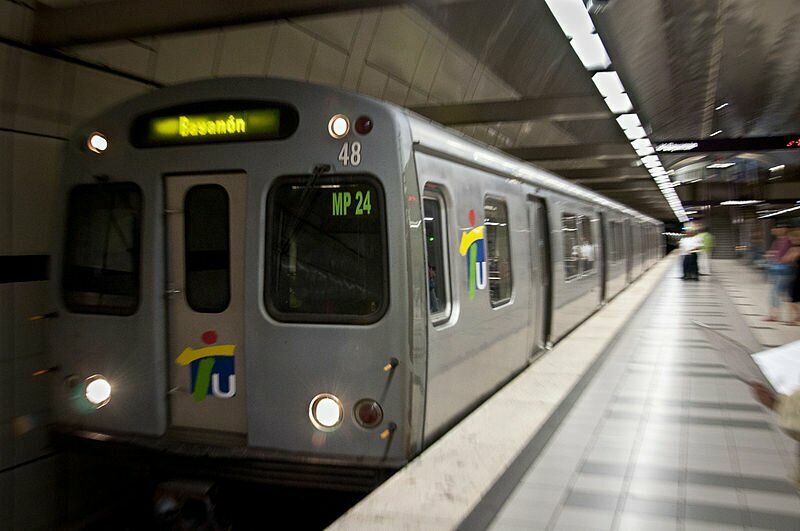 Tren Urbano is a rapid transit system that serves the city of San Juan in Puerto Rico. The system is relatively new and began operations on 17th December 2004 and presently has 1 line that serves 16 stations. The system has a total track length of 17.2 km (10.7 miles). The metro system is fully automated and it has an estimated average daily ridership of 43, 800 passengers. It is owned by Puerto Rico Department of Transportation and Public Works and is operated by Alternativa de Transporte Integrado (ATI) Siemens AG. Map of Tren Urbano showing various stations. Click on the map to enlarge it or Download PDF. The metro service starts operations at 5:30 am and runs until 11:30 pm. A single journey ticket is priced at $1.50. Tickets can also be purchased for unlimited rides for different durations. A 1 day ticket costs $ 5.00, a 7 day ticket costs $ 15.00, a 30 day ticket can be purchased for $ 50.00, while a 90 day ticket costs $ 90. For senior citizens in the age group 60-74 years, medicare participants and people with eligible disabilities, a single journey ticket is discounted and can be purchased for $ 0.75. The system allows free transfers from Tren Urbano to AMA or Metrobus, for the first two hours after the start of journey. Fare payments can also be made using stored value cards. These cards are rechargeable and can be obtained for $ 15.00 or more. The cards are multiple-use, and the fare is automatically deducted every time the card is used. Citizens older than 75 years of age, and children 6 years and younger can ride the metro for free. The system offers park and ride facilities to passengers at terminus in Carolina. Bicycles can be carried on the metro free of charge; however a special permit BICI-TREN needs to be obtained. They can be carried at any time, if the car capacity allows. The metro stations also provide parking facilities to the passengers. Security is provided at all stations by the Tren Urbano Police of the Puerto Rico Police Department and by private police companies. Tren Urbano consists of single line serving 16 stations. The metro runs from Bayamon towards Santurce. The system serves 115,000passengers per day. Two stations are built underground. 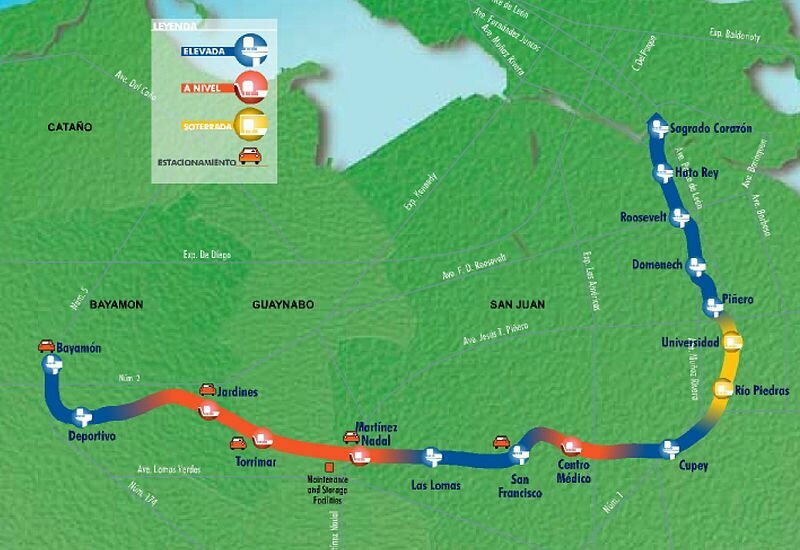 The line connects cities of San Juan, Guaynabo and Bayamon. The expansion of phase 1A and phase 2 is under planning stage. Tengo 61 años cumplidos, ¿cuales son los requisitos para obtener una tarifa en tren con descuento?